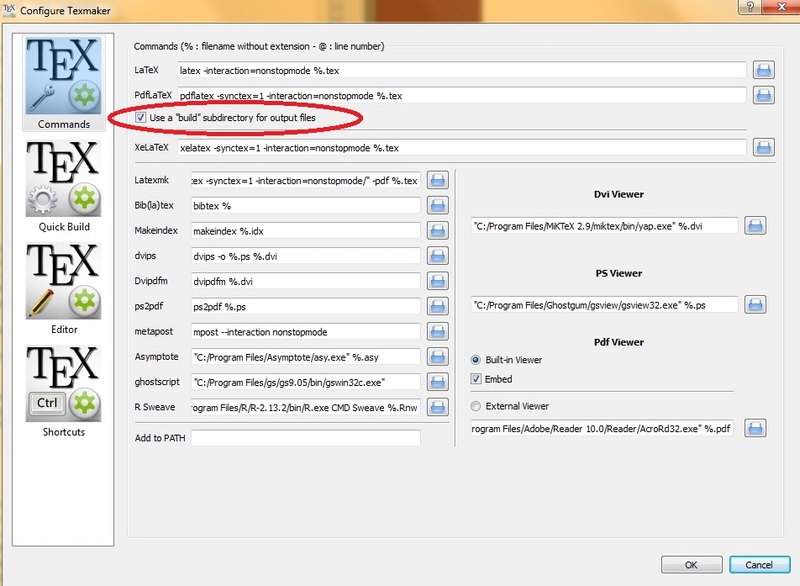 When compiling with pdflatex we need the *.aux files in a separate folder. With MiKTeX and TeX Live you can use --output-directory=dir. This will put all output files including .log and .pdf/.dvi in this directory (and append it to the search path so that auxiliary files are found). In MiKTeX you can additionally set --aux-directory=dir which will put only the auxiliary files in this directory. This answer was rewritten to comply with the new 3.0 version of arara. For arara 2.0, see the revision. You could also use latexmk to do the job for you. auxdir is the directory for all auxiliary files but not the PDF file. on the MiKTeX version of (pdf)latex. relative to the document directory. You can do this using the filesystem. Here's a suggested workflow, which I'll illustrate with Bash/Unix, but which can be made to work on Windows: in your working directory, where you edit your Tex file and want your output to be produced, you have build, which is either a subdirectory, or a symlink to some build directory elsewhere. Either mkdir build in the directory where you want to work, or create the symlink to Bash. If you use a subdirectory, then most flavours of Tex will be able to access resources in the working directory, as it is a parent directory. 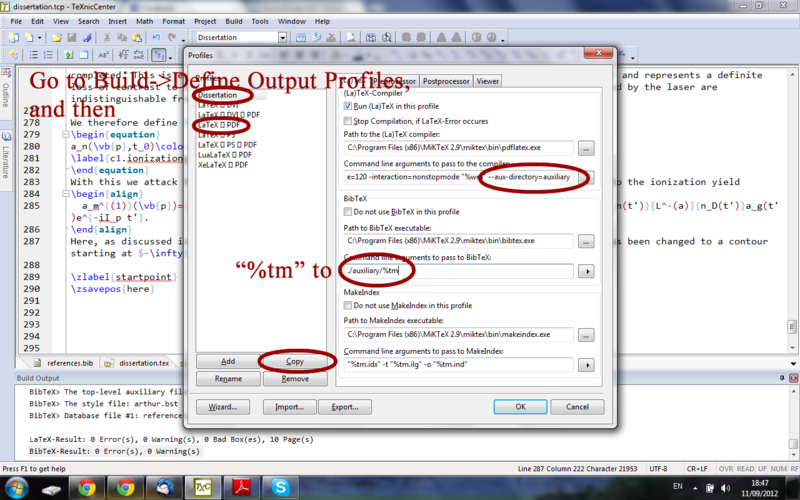 If you are creating PDF output, then ln -s build/$FILE.pdf . To run the Tex command, you can just run it in the build directory. Or you can create a wrapper for the executable (untested): with the following shell function you can have aliases such as alias pdflatex="runtexinbuild pdflatex" which will run in the builddirectory if it is there, otherwise give the usual behaviour. Here is a TeXnicCenter-specific solution which will hopefully seem sound enough to the people claiming it's bad practice to have one single, huge repository for all LaTeX auxiliary files (which it probably is). On the Build->Define Output Profiles menu, choose your standard build profile (say, LaTeX => PDF) and copy it to a project-specific profile. (Here, Dissertation.) Then add --aux-directory=directoryname to the command line arguments passed to MikTeX. When compiling path/file.tex, this will create files as path/directoryname/file.aux, and so on. This should be enough of a compromise, I think. EDIT: to work with BibTeX, this requires %tm to be changed to ./auxiliary/%tm in the command line arguments passed to BibTeX. This can cause some trouble if external "chapter" files are \included but this can be fixed by using \input. I suspect there's some deep reason for this but I don't know if there is another way around it. You can move the auxiliary files only after the "complete" PDF output is generated. The "complete" means that the cross-reference is properly typeset. Moving the auxiliary files will be easier if you create a make file (in Linux) or a batch file (in Windows). An example of batch file (for Windows user) that not only compiles the input file several times (3 times should be enough) but also moves the auxiliary files to a specified folder at the end. if exist "%~1.pdf" del "%~1.pdf"
if exist "%~1.tex" for /l %%x in (1,1,%2) do pdflatex --shell-escape -draftmode -interaction=batchmode "%~1.tex"
if exist "%~1.tex" pdflatex --shell-escape "%~1.tex"
%1 represents the TeX input filename without extension, %2 represents the number of times to invoke pdflatex in draftmode, and %3 represents the folder name to which the auxiliary files will be moved. Note that pdflatex will be executed %2 plus one times in total. Assume we have an input file named filename and we want to invoke pdflatex twice in draftmode and the auxiliary files will be moved to dir\subdir\. For more options, see ltx2any --help. You can use also Eclipse IDE together with TeXlipse plugin. It is quite easy to separate there your .tex files from all that are generated by TeX. Not the answer you're looking for? 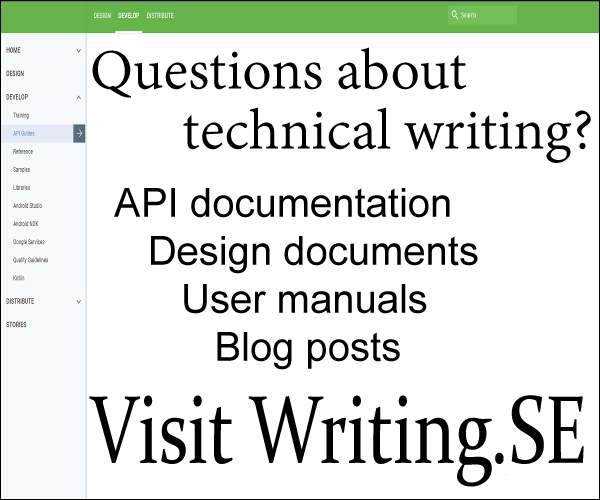 Browse other questions tagged auxiliary-files or ask your own question. How to hide auxilliary files under Linux? Document requiring infinitely many compiler passes? How to prevent TeXShop from making .aux, .syntec.gz and .log while compiling? How to direct TeXShop to all all .aux files, also in subfolders, such that they can be trashed?